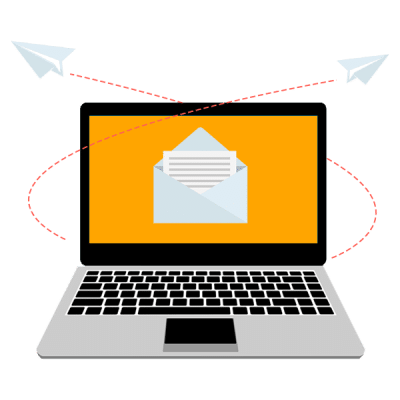 We are experienced at providing effective small business email marketing solutions that will allow you to send campaigns to your database. These campaigns can be constructed for various purposes ranging from promotion of a service to a general newsletter type email. 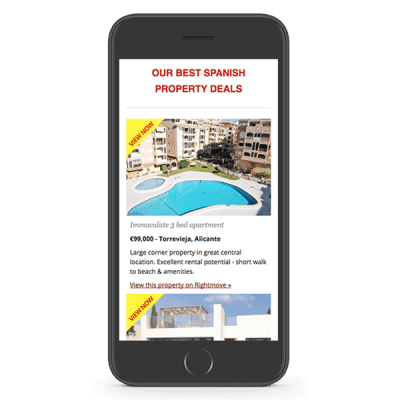 Our team can help you to create a great looking email design with the right sort of content that gets people to pick up the phone or click through to your website. We can set achievable email marketing objectives that will give you great results. With our support, you can learn how to do email marketing effectively. Responsive Design– the majority of people will receive the email on a smartphone so it is crucial to construct an email that looks good on mobile devices as well as computer inboxes. Set Goals – know exactly what you want to achieve from sending out your campaign. A more concise email is likely to be better received and has a higher chance of an action being taken. Engaging Content – use text and images that are directly relevant to the topic of the email and will prompt people to finish reading the email. This includes a catchy subject line! Manage your Contacts – cleaning or segmenting your database will give you a smaller but more targeted list of contacts that can be targeted more effectively. These are just a few things that have to be considered, if you require further guidance or more information, we can help. Did you know? We can source contact details for individuals of certain job titles, locations or type of business so you can reach out to people beyond your established database. At CW Marketing we can set up email marketing accounts, source databases, design custom templates and send the emails for you if you wish! We can also help with follow up reporting and reviewing success of any campaigns. If you would like assistance on how to do email marketing effectively, speak to the professionals at CW Marketing on 01202 888200.